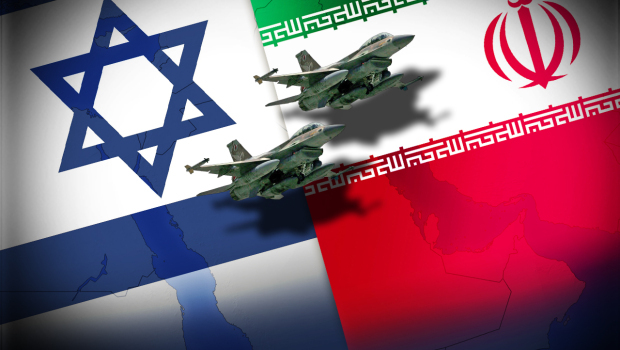 More warnings from the Iranian regime on Wednesday about any US-led airstrikes on Syria, with Israel getting special attention…. In case of a military action by the anti-Syria front, the Syrian nation will resist and the result of their resistance will be victory…. What is currently referred to as the US and Britain’s military action against the innocent Syrian nation is in fact a Zionist operation aimed at boosting the morale of the occupying and dying Zionists. Given the sensitivities in the region and the critical situation imposed on Syria particularly the use of chemical weapons by terrorists, any further warmongering in the country will have dire consequences for the US and the Zionist regime. The two presidents stressed that any use of military force against another country without a mandate from the United Nations is a blatant violation of international law. Putin and Rouhani emphasized that the Syrian crisis must be resolved only through diplomatic means. Although Google is banned in Iran, the Supreme Leader’s office announced on Thursday that Ayatollah Ali Khamenei has opened an English language account on Google’s social network, Google Plus. I often overcome the laziness and weaknesses typical of my age and climb a few steps up the mountains near Tehran and find no one there! It saddens me! I feel sorry why our youth do not enjoy such beautiful natural environments. Could Russia be signalling to the US that, while it will challenge Washington over Syria on the political front, it does not want a general showdown — for example, with Moscow’s full support of an Iranian stand versus the Americans? The S-300 advanced air defense missile systems that Russia refused to deliver to Iran have now been completely dismantled and scrapped, the CEO of the company that built them said Thursday. Every contract is made for a particular client and cannot be adjusted to the requirements of another, he said. Russia signed a deal in 2007 to send four S-300 batteries to Tehran but it annulled the contract in 2010. Iran filed a $4 billion lawsuit for compensation over the failed deal, a case under review in an international arbitration court in Geneva. Russian daily Vedomosti said in June, citing undisclosed Russian arms industry sources, that Russia had offered to provide Iran with Antei-2500 air defense systems, but the offer was never officially confirmed. While Iranian military leaders have continued talking tough on any Western action in Syria, Rouhani is still emphasizing the need for a diplomatic solution to the Syria crisis, saying that the UN inspections must be impartial, that the West should not jump to conclusions about the perpetrators of last Wednesday’s attacks, that Iran condemns the use of WMD, and that military action must be based on international law. As I've said in the past, I'm a lawyer and not a colonel. All actions of any govt, both at home & abroad, must b based on rule of law. Iran’s Foreign Ministry has appointed its first female spokeswoman, Marzieh Afkham, who is also Deputy Minister of Foreign Affairs. Afkham was Director of Public Diplomacy of the Ministry from 2010 to 2013 and was Director of General Information and News under former minister, Kamal Kharazi. Rouhani’s office has used the President’s Twitter account to publicize the move, saying that Afkham was appointed because of her skills and knowledge and noting that she has a “background affording her strong understanding of the world today”. Mrs Afkham fluent in widely used languages English & French. Key to #competency of FM spokesperson linguistic capabilities. Appointment of Mrs Afkham just one step in Government of #Prudence and #Hope's campaign to empower and elevate women in #Iran. The office of former President Mahmoud Ahmadinejad has denied that his 1st Vice President Mohammed Reza Rahimi has been arrested over a large insurance fraud. MP Ali Motahari claimed on Wednesday that Rahimi had been charged over the long-running, multi-million-dollar Fatemi Street fraud case, and Iranian media said the former Vice President was being interrogated. Fars, linked to the Revolutionary Guards, adds that there will be a protest march on Friday of young “volunteers” want to fight against the Zionists in Syria. As I’ve said in the past, I’m a lawyer and not a colonel. All actions of any govt, both at home & abroad, must b based on rule of law.